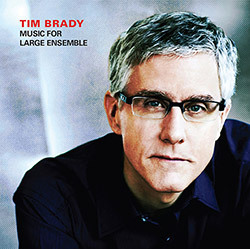 "Known for his radiant orchestrations, his dramatic structures and his innovative guitar work, Canadian Tim Brady is a composer and guitarist who has created music in a wide range of genres ranging from chamber and orchestral music to electroacoustic works, chamber opera, contemporary dance scores, jazz and free improvisation. He has been commissioned and performed by numerous ensembles and orchestras in North America and Europe including the Orchestre symphonique de Montréal, the Vancouver Symphony Orchestra, the Winnipeg Symphony Orchestra, the Société de musique contemporaine du Québec, The South Bank Centre, New Music Concerts, INA-GRM (Radio-France), the English Guitar Quartet, the Pittsburgh New Music Ensemble, the Esprit Orchestra (CBC), the Philadelphia-based Relâche ensemble, the Australian group Topology, and the New York groups Newspeak and the Trinity Wall Street Choir. 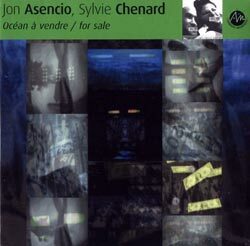 Since 1988 he has released 24 CDs as both a composer and a performer on Justin Time Records and Ambiances magétiques, and, more recently, on ATMA Classique, Centrediscs and Starkland labels. His most recent CDs are: Music for Large Ensemble - with Bradyworks (Autumn 2018 - Starkland Records), The How and the Why of Memory, with Symphony Nova Scotia (Centrediscs - 2015) Atacama: Symphonie #3 (ATMA Classique - Feb. 2013) - nominated for a JUNO Award in 2014, . His two most recent major orchestral works are The How and the Why of Memory: Symphony #4, commissioned by Symphony Nova Scotia, and The Absence of Shelling is Almost Like Music, for cello, video and orchestra, commissioned by the Orchestre symphonique de Québec. In June 2018 his work "While 100 Guitars Gently Weep: Concerto for George", for 100 guitars, was premiered at the Luminato festival in Toronto to over 1,400 people. 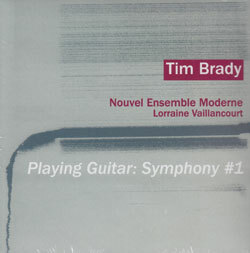 The work was commissioned by Luminato from Tim Brady, with Brady as guitar soloist. Other recent touring success include the premiere of the chamber opera Ghost Tango in Halifax and Kitchener (Sept. 2015), and the New York premiere of Atacama: Symphony #3, with Newspeak and the Trinity Wall Street Choir at the National Sawdust concert hall (Oct. 2015), under the direction of Julian Wachner. His work "Journal: String Quartet #2" has toured North America to great success, performed by the New Orford String Quartet, which commissioned the work in 2013. 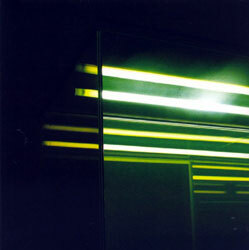 It was released on CD by the NOSQ in early 2018. His electric guitar collective "Instruments of Happiness" presented shows for 100, 20 and 4 guitars to sold out houses across Canada in 2015 and 2016, and the first IoH CD was released in March 2016 on the American Starkland Records, to excellent reviews. The group has toured Canada twice (2017, 2018), presenting new works by a range of Canadian composers. Other recent orchestral pieces include Viola Concerto (Orchestre symphonique de Laval, Requiem 21.5: Violin Concerto, commissioned by Symphony Nova Scoti and Amplify, Multiply, Remix and Redfine: in memory of Les Paul (for 21 electric guitars & orchestra), commissioned for the 2010 Winnipeg Symphony Orchestra New Music Festival. His most recent international success was the June 2010 production of excerpts from "24 Frames - Trance" at the Bang on a Can Marathon in New York City, as well as a 6-city East Coast US tour in September 2012. 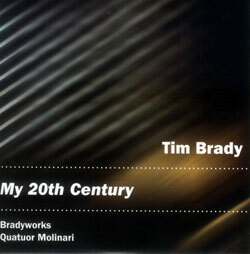 Brady regularly tours North America, Europe, Asia and Australia as an electric guitar soloist, performing his own music as well as new works which he commissions from other composers in his effort to create a new voice for the electric guitar. He has performed at many leading venues including The South Bank Centre and the ICA (London), The Huddersfield Contemporary Music Festival (UK), The Darwin International Guitar Festival (Australia), the Bang on a Can Festival (NY), and De Ijsbreker (Amsterdam), Radio-France (Paris), the Barcelona Contemporary Music Festival and BKA (Berlin). He has recorded extensively for Radio-Canada, the Canadian Broadcasting Corporation, the British Broadcasting Corporation, Netherlands Public Radio, Radio-France, Spanish National Radio and National Public Radio in the USA. In 1999 his Strange Attractors World Tour took him to 10 countries for a total of 23 concerts. The ensemble's most recent tour in March and April 2014 took them to the USA and Australia, including a broadcast recording for the Australian Broadcasting Corporation show New Music Up Late. His new music ensemble Bradyworks has toured Canada six times (1991, 1994, 2000, 2004, 2006, 2009), performed in the United States, and records regularly for both the CBC and Radio-Canada. 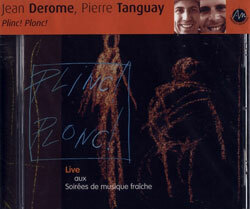 The ensemble released its first CD in 1991, entitled Inventions, and released its second recording, Revolutionary Songs, in 1996 to coincide with its performance at the Festival international de musique actuelle de Victoriaville. In the autumn of 2003 the group released its third CD, entitled Unison Rituals, and presented its first European tour, including a radio performance for the BBC Radio 3 programme "Hear and Now", along with concerts in Aberdeen, Dublin and Cork. 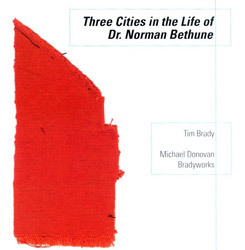 The ensemble recently presented Brady's two chamber operas in highly successful productions: Three Cities in the Life of Dr. Norman Bethune (Montreal, 2003 / Toronto, 2005), and The Salome Dancer (Kitchener, 2005). 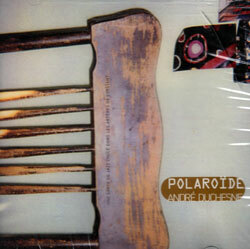 In May 2008 it presented 5 performances of the multi-media work My 20th Century in a tour across Québec, including a performance at the Festival international de musique actuelle de Victoriaville. My 20th Century's success continued in 2009, with a 10-city Canadian tour, to rave reviews. 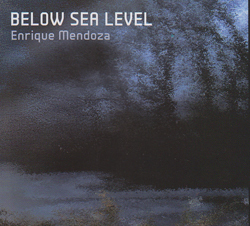 In January 2013 his work "Atacama: Symphonie #3" was named "Best new composition of the year" at the Prix OPUS. 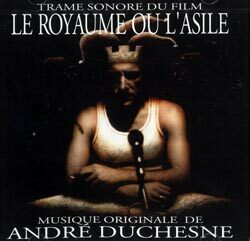 In 2004 he was awarded the Prix OPUS for "Composer of the Year" by the Conseil québécois de la musique, for the outstanding quality of his work as a creative artist. 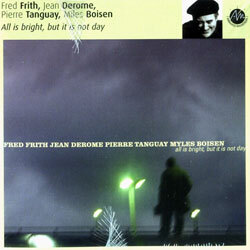 In Nov. 2006 he was awarded the Jan V. Matejcek Award by SOCAN, for the most concert music performance royalties in Canada for 2005 (francophone category). 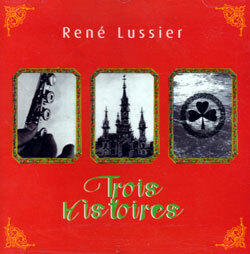 From 2008 to 2013 he served as the "composer-in-residence" with the Orchestre symphonique de Laval, working with music director Alain Trudel to build a creative music presence in the orchestra and in the city of Laval. In addition to his work as a composer and guitarist, from 1994 to 2004 he served as the Artistic Director of Innovations en concert, a company which he founded. It is one of Montreal's main new music producers, and during his tenure as director he produced over 100 concerts of contemporary music from across Canada and around the world. He also has written for Musicworks Magazine, and has served on the boards of Codes d'accès, The Canadian League of Composers and the Music Gallery. He was the founding president of the Canadian New Music Network, serving from 2005 to 2014." 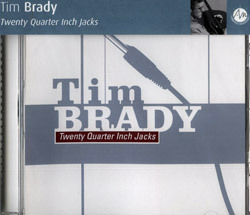 "Twenty Quartet Inch Jacks is Tim Brady’s first release on the Ambiance Magnétiques label and with this record Brady moves his work as both a composer and a guitarist into new territory. 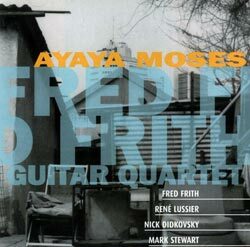 Well-known for his innovative guitar work, this new CD combines a major new work for 20 guitars with 2 works which make extensive use of sampling and computer sound design. 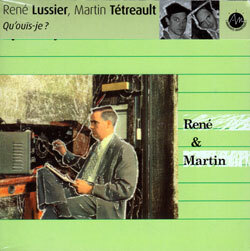 The title track is a work commissioned by the international théâtre festival Les Coups de Théâtre. 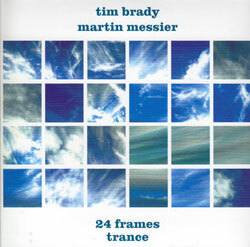 The commission was for a live performance work for 20 young guitarists lasting 45 minutes, but soon after Brady began composing the work it became clear that the recorded version of the work was taking on a life of its own. 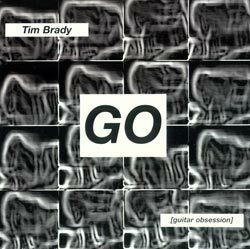 Using no electronics or sampling, and limiting himself to one guitar (a Steinberger GM4T), one fuzz box, a volume pedal and a slide, Brady set out to create a work that explored of the fundamental character of the guitar while creating a new sense of what a guitar ensemble could sound like. Simple picking, big chords, noisey strings, bluesy string bends, open string pull-offs and percussive attacks are the elements that combine to create striking musical textures and evocative atmospheres. The work divides into 8 sections, but is meant to be played and listened to as a single, continuos piece. The human voice (Brady’s on the CD) is also an integral part of the sound world, as the theatrical nature of the work bridges the gap between pure music and live performance. 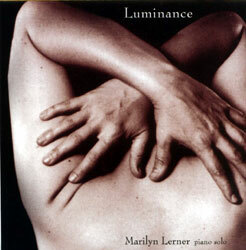 The human voice play an important role in the 2 other pieces on the CD. Music Box Bell Curves ("Hello Paris!") was commissioned by INA-GRM for the 2001 Radio-France festival PRESENCE in Paris. 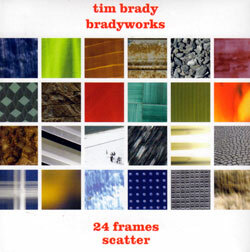 Using dozens of samples of small toy instruments, which he has collected for 40 years, and samples from a "sonic party" (where these instrumenta are played by his friends), Brady created a dramatic tape part that frames a heavily processed live guitar part.